A few weeks ago I had a lovely weekend away in Oxfordshire. 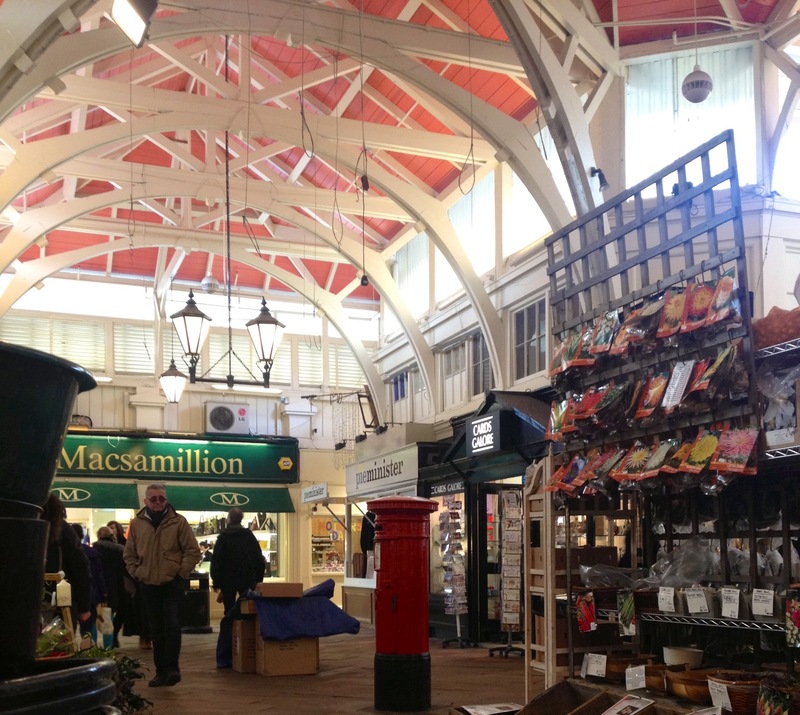 There were lots of things I was looking forward to seeing and doing in the historic city of Oxford, but top of my list was The Covered Market. Housed in a building dating back to the 1700s and having been operating for more than 200 years the market is home to a number of shops and cafés selling everything from fruit and vegetables to jewellery to leather goods to fresh pasta and hand decorated cakes some of which date back to the markets beginnings and many of which are independent traders. I do love a market and especially one with such good food! I’m going to share a few of my favourite bits with you here but if you are planning a trip to Oxford to put it on your to do list and check it out for yourself. On our first day in Oxford we drove into the city centre to get our bearings and find out what there was to do before heading off to find the hotel. 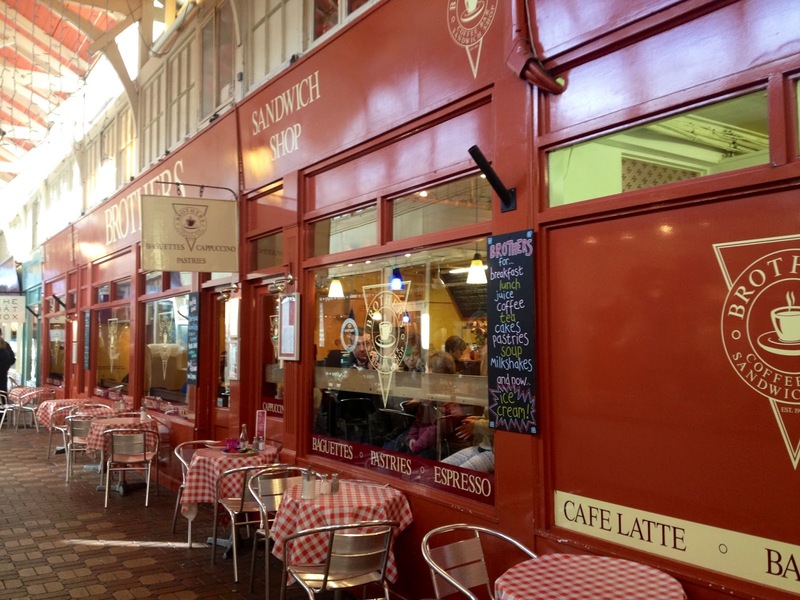 On first discovering The Covered Market we decided to stop off here for our lunch and chose to eat at Brothers Coffee Bar & Sandwich Shop. Both myself and my sister ordered grilled ciabattas and whilst she went for the croque monsieur I went for a slightly less traditional goats cheese with asparagus and black olives. 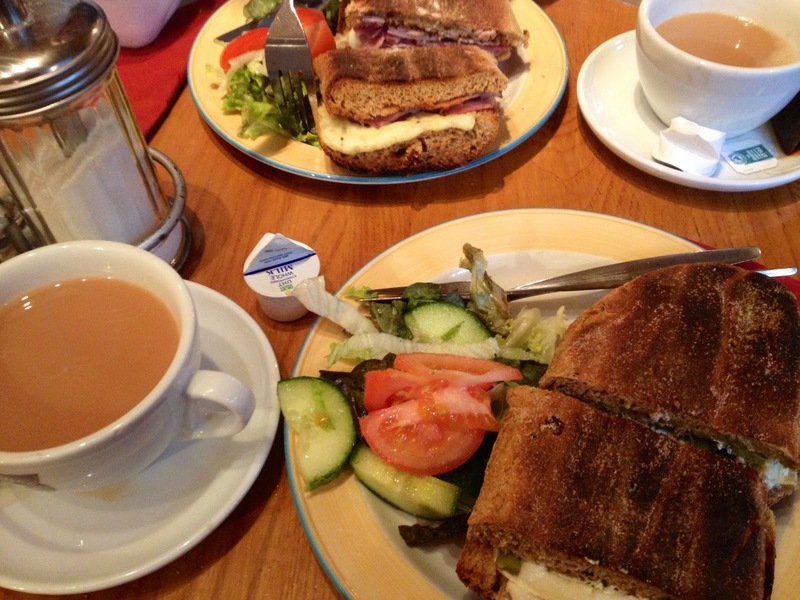 Both sandwiches were absolutely enormous and came with a little salad on the side. I struggled to get through it but loved the unique flavour combinations in my ciabatta and would have definitely visited again if I didn’t have so many other places to squeeze in to one weekend. 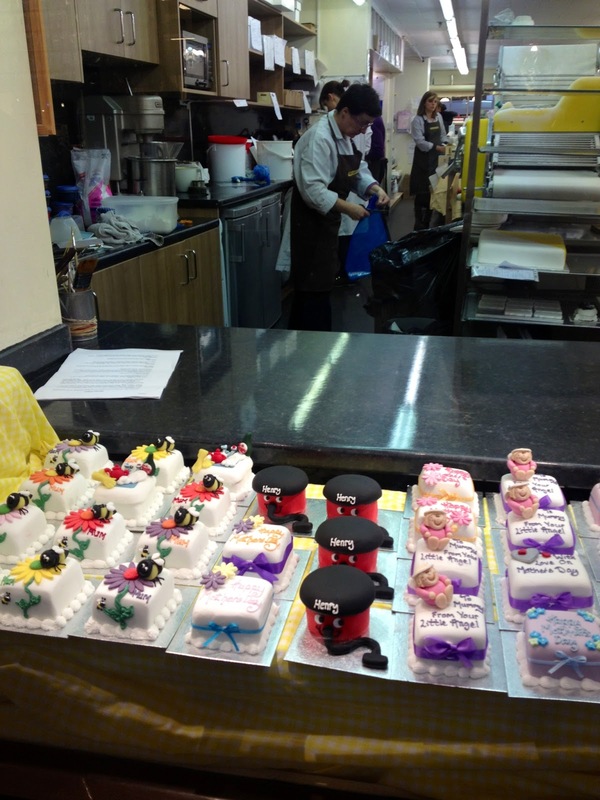 The Cake Shop was a real star attraction of the market. 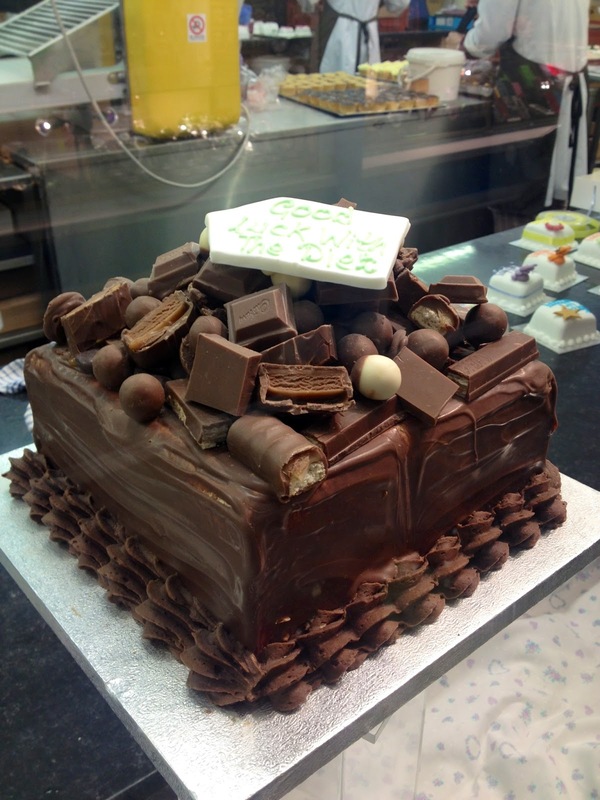 Occupying one of it’s largest spaces, the shop had great big glass windows allowing you to see everything going on in the kitchen and I could have spent hours watching them create all the mini art works they were creating to top the cakes with. 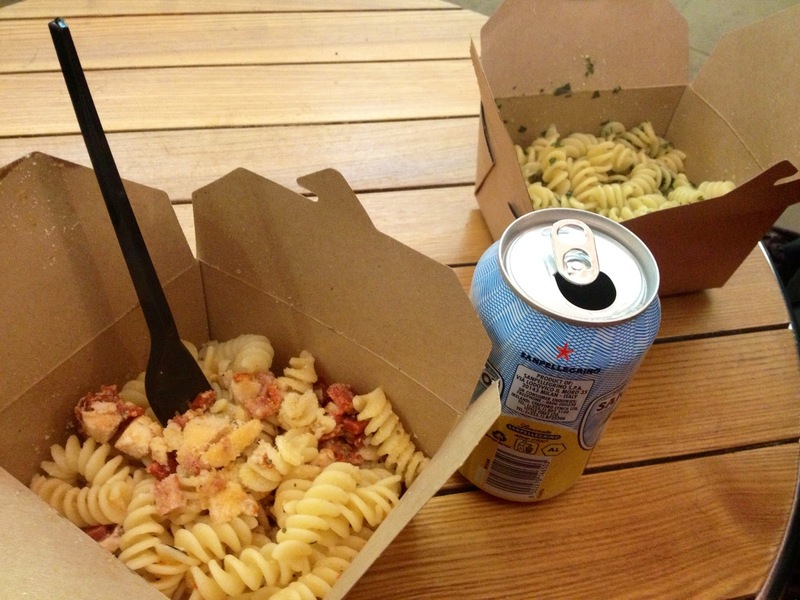 Now for my absolute favourite part of the market… Fasta Pasta: Taylors Oxford’s Mediterranean Delicatessen. One word: wow. We discovered this on our second day in town and this broom cupboard sized shop was my absolute heaven. I love pasta, I love Italian food. The walls and windows of this tiny shop were lined with all sorts of different kinds of pasta from large shells to twisted telephone wire like strands to multi-coloured candy striped ribbons. I literally just stood there staring at it all for what must have been a good fifteen minutes trying to take it all in and decide what to buy. I eventually went for the candy striped ribbons! There were also dried porcini mushrooms, panettone, amaretti biscuits, large cans of passata, oils.. I can’t even remember all of it but it was an Italian chef’s heaven. 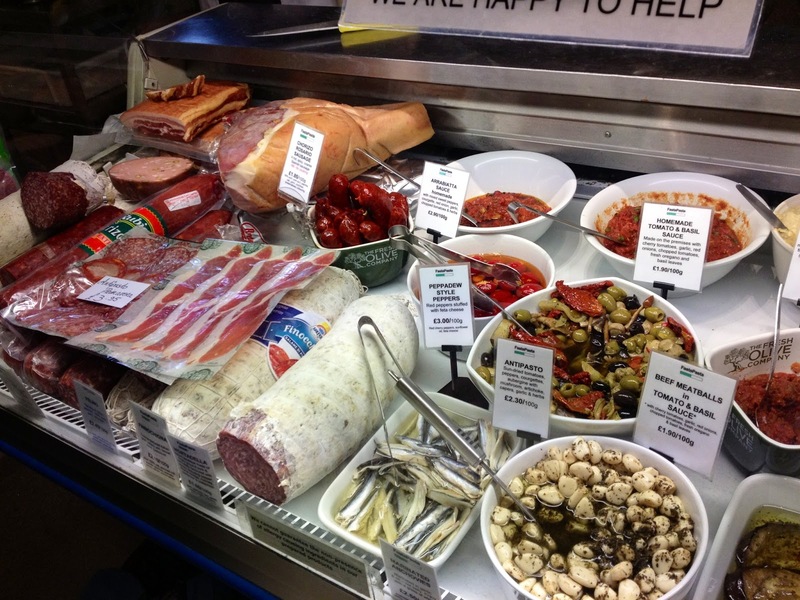 As well as all the jarred and packaged produce on display the deli counter also stocked fresh pasta, cured meats, homemade pesto, olives, cheese etc etc. Looking back on it I wish I’d bought a few more things but I was far too overwhelmed to take it all in and choose! As if Fasta Pasta wasn’t good enough they also did fresh pasta to take out! I had chicken and chorizo in mine with parmesan breadcrumbs sprinkled on top and my sister had fresh basil pesto. Both of our lunches were delicious. There really is nothing like fresh pasta with a really simple sauce and that’s why I love it so much! I couldn’t resist washing it with a can of San Pellegrino lemonade either. While we were polishing off our own lunch a group of Italian’s were also buying theirs here, so if it’s got their seal of approval it must have been good! There were all sorts of other delightful looking places in the market that I’d have loved to try out and you can see most of them listed on the market’s website. This is just a tiny snippet of what was on offer and I can’t wait til my next trip back to Oxford so I can try out some of the shops and cafés. 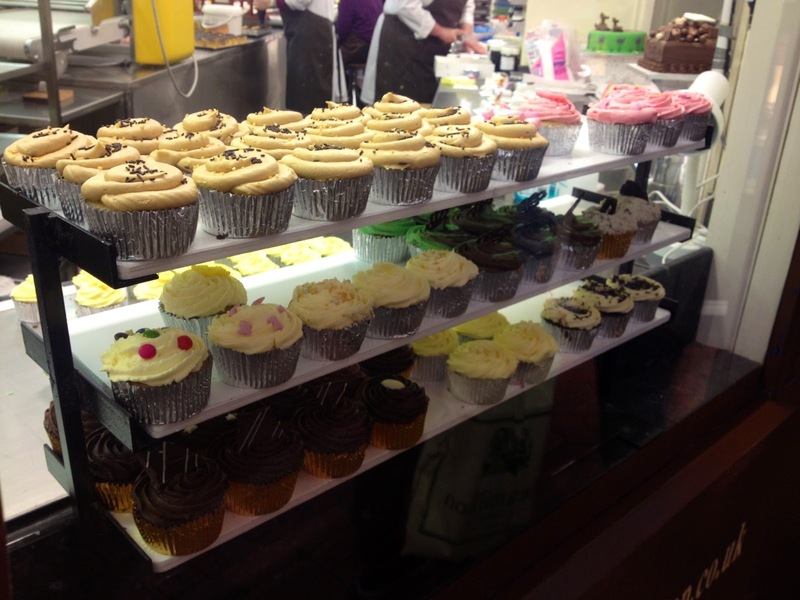 Take a look at my Facebook album to see some of the other shops and foodie delights from Oxford’s Covered Market.